After three exiting days on Europe's leading trade show for electronic automation, the SPS IPC Drives in Nuremberg, our team came back with lots of impressions and ideas. 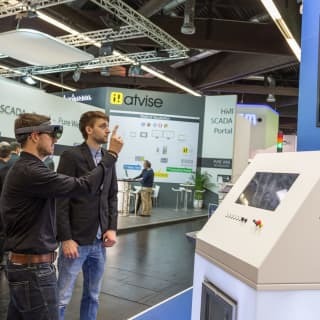 Ergosign and our cooperation partner Inosoft participated for the fifth time on the trade show, where more than 63.200 visitors looked for inspiration about topics like „Industry 4.0“. We like to thank all partners, interested persons and customers for their keen interest as well as interesting discussions and are looking forward to next year! Watch our video for impressions and highlights of the SPS IPC Drives 2016.